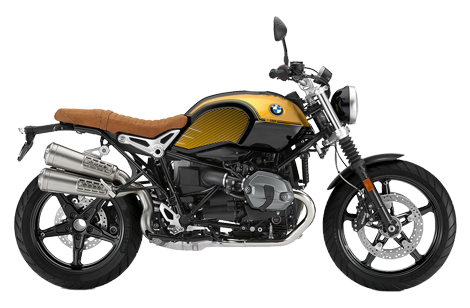 MY18 BMW Motorrad R NineT Scrambler WAS $20,890 Now From $18,890 Save $2,000 While Stocks Last. Two Cyclinder boxer engine, air/oil cooled, 4 valve cylinder heads, 6-speed gearbox, helical toothed. Digital engine management with twin-spark ignition system. 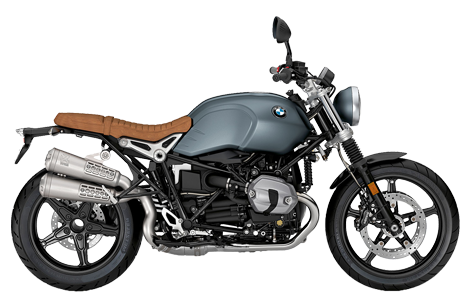 Shaft drive, cast aluminium wheels, BMW Motorrad ABS, Electronic immobiliser. Black Storm Metallic/Aurum, Black Storm Metallic/Light White. Includes Chrome Exhaust, Heated Grips, LED Indicators & ASC. 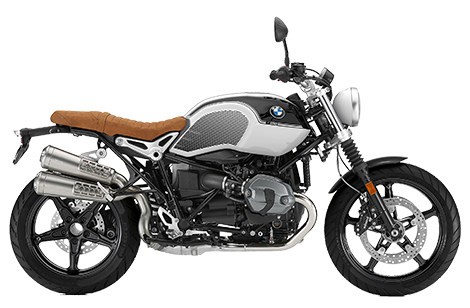 *Finance from BMW Financial Services (a division of BMW Australia Finance Ltd, Australian credit licence 392387) on a consumer loan at 7.29% pa. On a ride away price of $18,890.00 and no optional extras with 60 monthly repayments of $388.82 and a final payment of $388.82. Total amount payable is $23,329.20. No other offers apply. Fleet, government & rental buyers excluded. Fees, charges, terms, conditions & approval criteria apply. Offer applies at Brisans Motorcycles while stocks last on new motorcycles. Offer valid as of 24/04/2019. ^Comparison rate based on monthly repayments for a 5 year secured consumer loan of $30,000. WARNING: This comparison rate is true only for the example given & may not include all fees & charges. Different terms, fees or other loan amounts might result in a different comparison rate. Enquire now with one of our business managers for further details on 02 4940 8777.